PTI did bring change in Pakistan, but one it didn’t want. Tabdeeli aa nahi rahi, tabdeeli aa gai hai. PM Imran Khan’s Pakistan Tehreek-e-Insaf (PTI) has indeed brought about a profound change – but an unintended and welcome one. The PTI’s nasty politics has turned Pakistani men into feminists. Punjabi men are standing up for women’s rights and Pashtuns have become warriors for women’s honour. 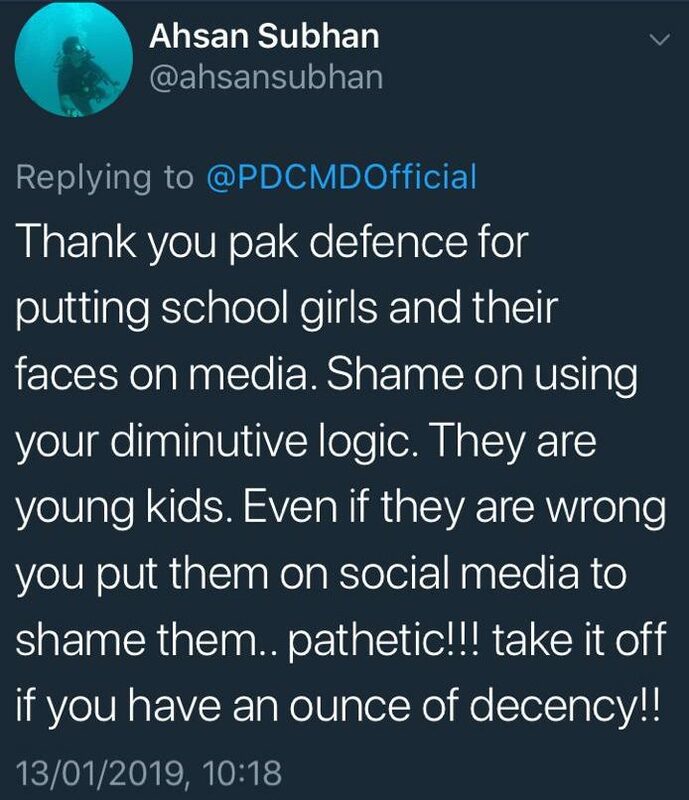 The very Pakistanis who would have abused me a few years back for smoking were now defending me and calling out the hypocrisy of abusers on Twitter. They were saying that my politics and mind mattered more than what I did socially. The rise of the PTI, and the military support to its attacks on a democratically elected government, and to its regressive and putrid politics of hate against anyone and everyone (particularly women) over the past five years appears to be directly related to this phenomenon. While the PTI was touted as a party that would usher in a progressive Pakistan, it was still bargaining with the old to suppress and silence critisim. The military, the religious fundamentalists and the PTI increasingly began to appear as three heads of the same hydra – and successfully managed to alienate all other political parties and civil society that stood for democratic norms and human rights. We, the outspoken, progressive women were naturally in the set of people opposing it, which contained all manner of people, including the conservative Punjabis. Some of us belonged to different political parties, others to none. But we were attacked relentlessly for our ‘liberalism’ and ‘anti-Pakistaniat’ by the PTI and the Pakistan defence social media accounts for standing up for the government of the time – the PML(N), the Sharifs, and other leaders of the ruling party. Punjab comprises a large part of Pakistan’s conservative population and would ordinarily hate liberal women. But the conservative Asma/Gul/Malala/Gulalai/Sabeen/Marvi haters of the past began to realise these awful women were now fighting for their rights because of the principles they had espoused forever. They began to respect us for our stances, for the same old boldness and courage of ours. They started becoming a new breed of conservative men supporting and defending liberal women, people who they wouldn’t tire of abusing and attacking in the past. The men who would call lawyer Asma Jahangir terrible names became her biggest fans in the past few years before she passed away. 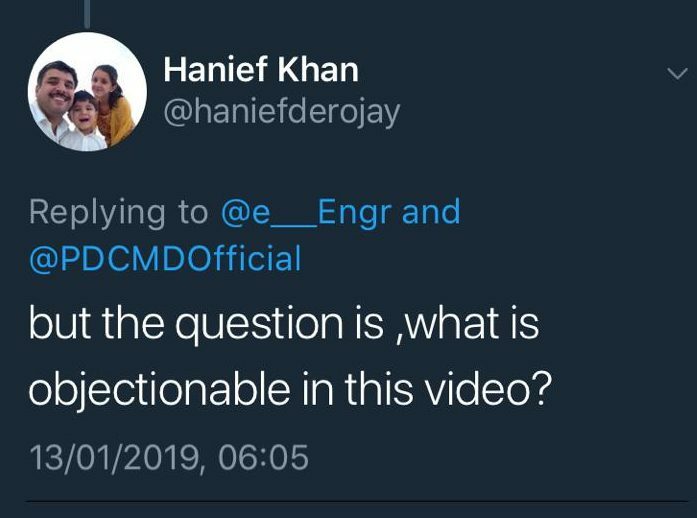 The men who would have censured Pakistani squash player Maria Toorpakai a few years ago (for wearing/ playing squash in shorts), were now mocking her detractors. 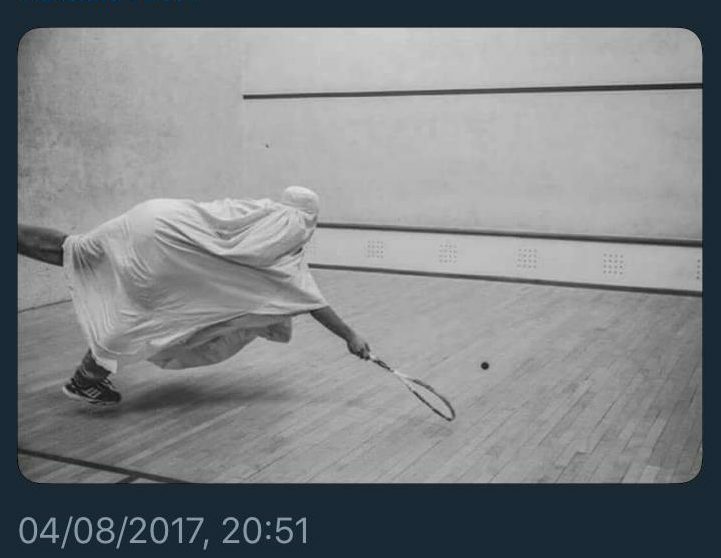 They posted a cartoon of a woman playing squash in a blue shuttlecock implying this is what Imran Khan’s ‘Naya Pakistan’ would do to women. The best memes mocking the PTI over its criticism of Maria were made by men. The men who would have made me the target of their hate a few years ago (before the manufactured rise of the PTI) were fighting my attackers over my photos in sleeveless blouses. I was floored. What had happened to them? Istarted to talk to these men to find out. My forays, into their minds and my own, led me to this conclusion: this was all collateral good. We stayed the same. They shifted. Nearly all of the men I spoke to confessed to changing their stance in recent years. Tweep A.M., a man in his early 40s, told me that he was a rabid ‘I love Pak army’ Deobandi youthia [Pakistan’s term for Imran Khan supporters]. He was an Asma Jahangir hater. And now he cannot stop mourning her loss. He is still religious, but supports most liberal women because now “I see them as human beings, political beings, not just women”. Tweep A.H. told me stories of how he used to hate liberal women and their independence, and read the Hilal (a military magazine his family had a subscription to), and how he fought his own hypocrisy and demons within to overcome what he now calls his erstwhile ‘youthiappa’. I spoke to a very senior journalist in his early 50s, A.A., and told him what I had observed, and his response was, “Gul, I am an example myself!” and proceeded to tell me of his erstwhile obscurantist attitudes and of an entire generation of Punjabi conservative men he had seen change before his eyes. It was heartening, to say the least. We, the odious women of Pakistan, were finding allies in the Right-wing conservative base. It was a miracle. And very ironically, it was finally brought about by the PTI. And now we have an army of Pakistani men defending us to the point we don’t really have to do anything ourselves. These men began to see past our jeans, cigarettes, short haircuts and sleeveless tops, and at the people we are. Let me quickly demonstrate. A tweet by Pakistan Defence Command @PDCMDOfficial and the responses was my trigger to write this article. 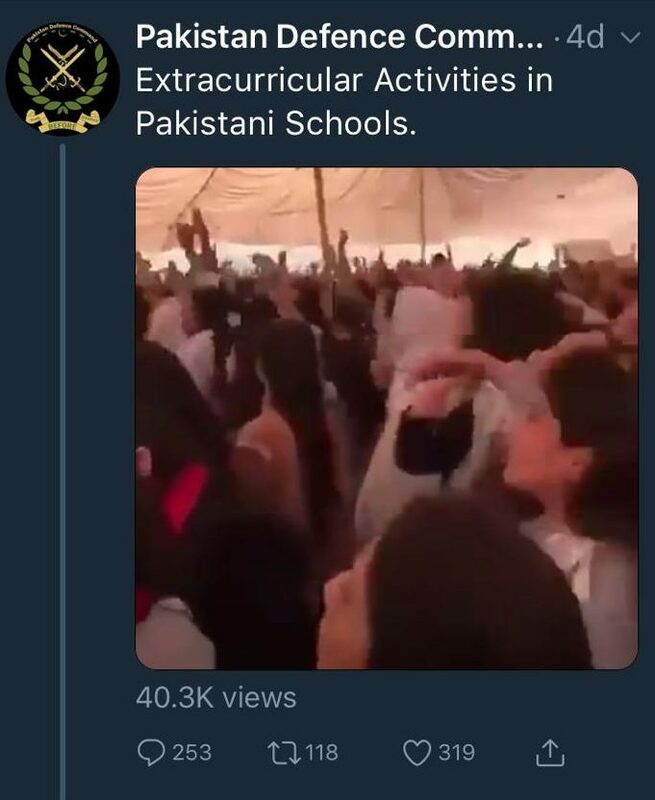 This account posted a video of girl children dancing at a school function and condemned them. Nothing new by this kind of people. The responses kept coming in from Pakistani men of all manner of socio-religious backgrounds. The same men who would never have stood up for girls dancing in a school, and might have even disapproved of it a few years ago. The idea behind writing this article was to draw the world’s attention to the exciting and unexpected “change” we are witnessing in Pakistan as a result of Imran Khan’s fetid politics: He has managed to change a vast conservative polity into somewhat feminists, simply because his followers are patriarchal and nasty to women opposed to his politics. 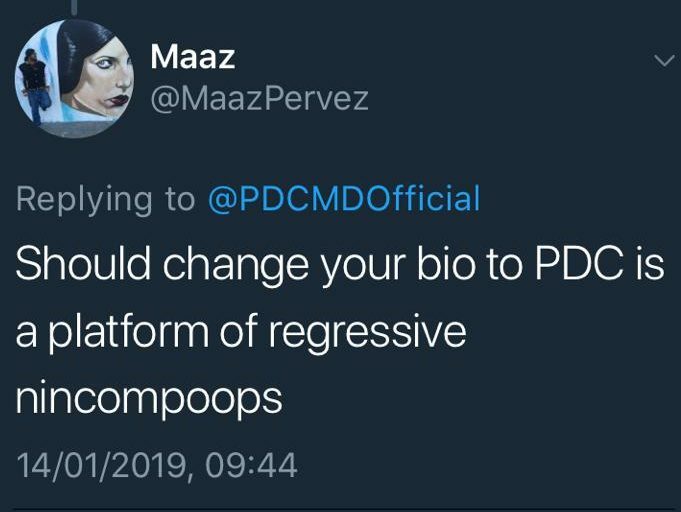 Abusing/defaming/attacking strong/ independent women used to be a sure fire way to success in Pakistan, but now it doesn’t find currency among the common men, conservative or liberal.